The largest town in the Champagne region, with a population of 190,000, Reims is a travel destination not to miss and a great overnight stay for those interested in culture and nightlife. I love the fact that it is social yet has a slower lifestyle than the great metropolises. 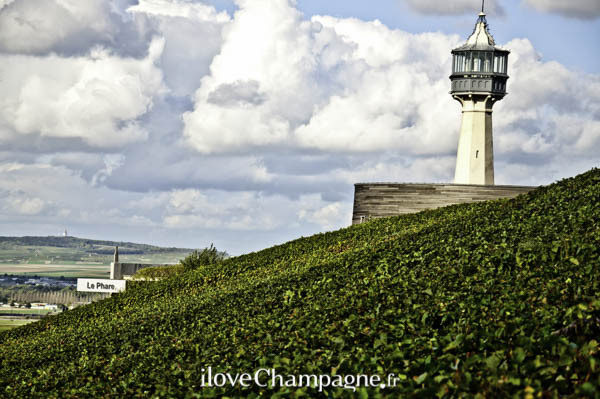 Reims is also home to several champagne houses from Veuve Clicquot, Pommery and Ruinart to G.H. Mumm, Krug and Louis Roederer. The city houses most of the major sights to see in the region and the lion’s share of the top restaurants. Just south of the city of Reims lie the forest hills of Montagne de Reims, home to many idyllic villages that produce wine with the coveted Grand Cru status. It is here that you find villages such as Verzenay, Verzy, Bouzy and Ambonnay, all of which are known for their top quality Pinot Noir grapes. However, amidst the Pinot Noir haven, you have a few villages famous for Chardonnay, Trépail and Villers-Marmery.